The EDU 32 FP accessory is a microcomputer-controlled counter and display apparatus. It is designed to be used in conjunction with RITTER Gas Meters, to count and display the absolute volume and flow-rate of Gases flowing through the RITTER Meter. 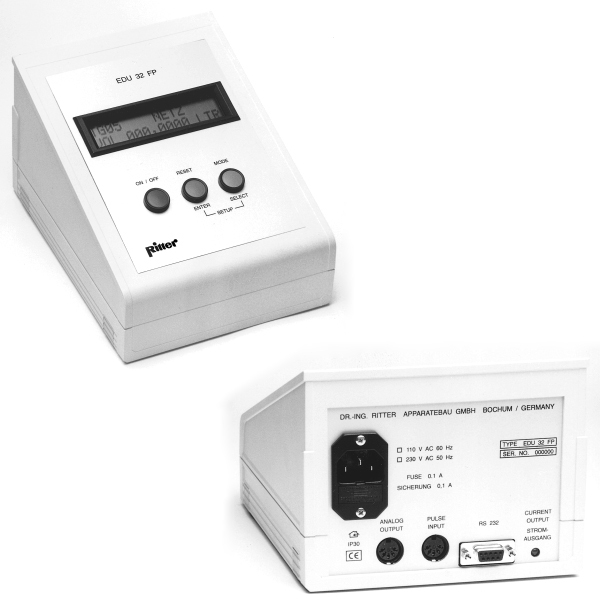 It consists of a unit in a separate (desktop) casing with a two-line Plain-Text-LCD-Display, and can be used with all types of RITTER Gas Meters.